2012 Minor League Golf Tour Champion Brooks Koepka captures the 2018 PGA of America Player of the Year award! Koepka first successfully defended his U.S. Open title at Shinnecock Hills in June and then held off a Sunday charge by Tiger Woods at the PGA Championship at Bellerive to claim the Wanamaker Trophy. Koepka also had two runner-up finishes and just two missed cuts during a season that saw him climb to as high as Number 2 in the Official World Golf Ranking. 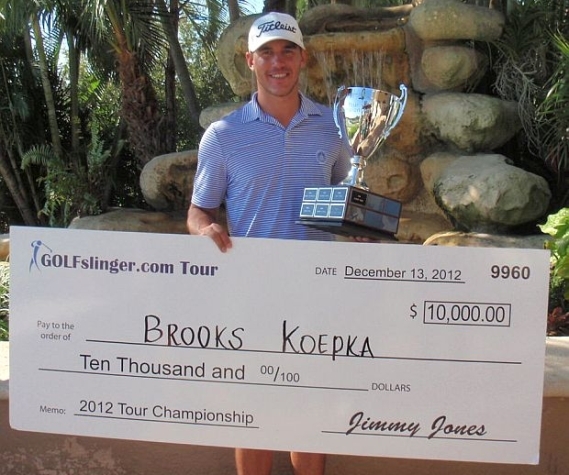 Brooks didn't take the conventional route to playing on the PGA Tour and becoming a three time Major champion.